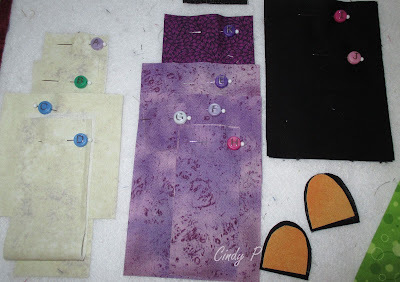 I am participating in the QAL at DOD Mystery Blog. The first block is free and as long as each block is completed by the end of the month you get next months block free. This is month one and you can still sign up. I found these neat alpha beads at Michael's on sale. I slipped them on some pins, I need to glue them as they are not a tight fit. That's a job for another day. I cut out all the pieces and marked them with the alphas worked great. My nine year old granddaughter picked the colours for the house. I wanted to go with either a gray archway or a tan/beige, but my granddaughter wanted the eye catching green. Now I ask you what's a grandma to do but give in. I need to machine applique the windows and the archway. A center window wouldn't be a bad idea either. 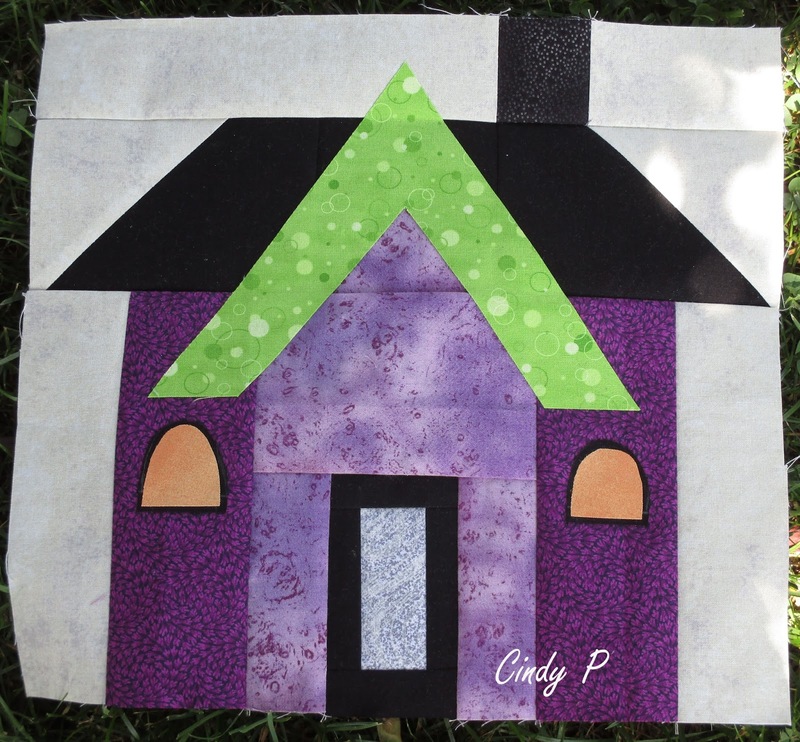 I'm going to use the house in a quilt for my granddaughter, she just doesn't know it yet. If you haven't guessed purple is her favourite colour. It's a beautiful sunny day with temps in the low 20's Celsius. I'm going to go out and enjoy it as the hot humid stuff is coming by the weekend. Cindy, I like your alpha bead idea. It looks so nice and neat. I wonder if they could be glued easily to the ends of flower head pins because the heads are flat. I like the alpha bead pin idea. I'll have to keep an eye out for beads. I like the archway your granddaughter suggested. It's a really nice accent. Great suggestion by your granddaughter! Just pops! Love how the young ones are so free with colour. I'm okay with it heating and steaming up, but still, the bright blue sunny skies we had the past couple of days were indeed lovely, just not warm enough for this girl. I should check this out as I love house blocks...but cringe at the thought of starting yet another QAL.